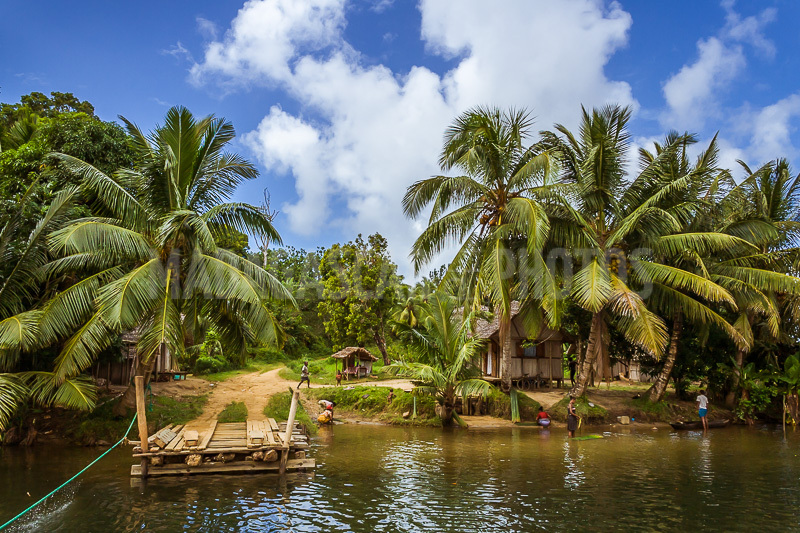 In its verdure and its labyrinth of waterways, Maroantsetra constantly bathes in the scents of vanilla and clove, products that add rice - to supply all the surrounding districts, is enclavement - coffee, or fishery resources. Rich of its potential, it just needs to be a little less dependent on the passages of the plane to claim prosperity. She also believes more than ever in her predispositions for ecotourism, especially since the Masoala Park and its 230,000 hectares of protected areas are only about 30 kilometers away. Each year from July to September, Antongil waters are one of the preferred migration sites for humpback whales to breed and bring their whale calves to life. 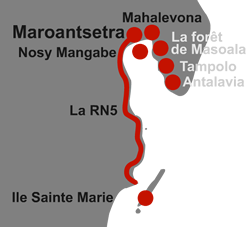 An opportunity in 2005 for the Maroantsetra-Masoala Tourist Operators' Group and its environmental partners to launch a Sea and Forest Festival. The initiative would benefit from being perennial to the benefit of a region which, more than any other, deserves the qualifier of sanctuary of nature.